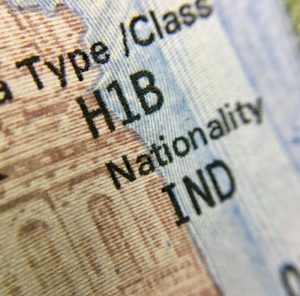 The Department of Homeland Security (DHS) is reportedly considering new regulations and changes to the H1B visa program that would limit the ability of H-1B workers who are in the lawful permanent residence (LPR) process to obtain an extension of their H-1B status beyond the usual six-year limit of authorized stay. The reported proposal, which arises from President Trump’s “Buy American, Hire American” executive order, could impact thousands of H-1B workers and their families, many of whom have been waiting in line for a green card for years. Under current law, the American Competitiveness in the Twenty-First Century Act (AC21) has two provisions, section 104(c) and section 106(a), which enable DHS to grant an H-1B extension to an H-1B worker who has reached the six-year limit if certain milestones in the LPR process have been met. This action, if adopted, will affect hundreds of thousands Indian and Chinese applicants that have been lawfully waiting for immigrant visas in EB-2 and EB-3 categories.